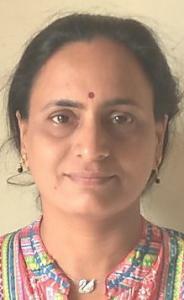 Haripriya Gundimeda is a Professor in the Department of Humanities and Social Sciences, at the Indian Institute of Technology Bombay, India; and the President of URBIO. Her main areas of research are green accounting, mitigation aspects of climate change, energy demand and pricing, valuation of environmental resources and issues relating to the development in India. She is the President of URBIO and the Co-cordinator of the report “The economics of ecosystems and biodiversity” for local and regional policy. She holds a master’s degree in mathematics and a PhD in Development Policy. She has also been a visiting scholar at the Institute of Behavioural Sciences, University of Colorado, Boulder, a Ratan Tata Fellow at the Asia Research Centre, the London School of Economics and a Political Sciences and visiting researcher at the University of Gothenburg, Sweden.